Situation: San Mateo County is located in the San Francisco Bay Area. It occupies 455 square miles, and is home to 20 cities, 29 county agencies, and more than 764,000 people. Many of the challenges the county faces are complex and regional in scope, and is beyond the means and charter of any one city to solve. 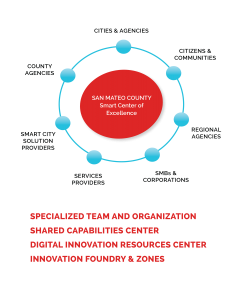 San Mateo County wishes to incorporate innovation and "intelligent" technologies into its day-to-day operations to proactively and efficiently address the needs of its residents, businesses and residents. 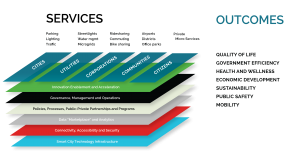 Approach/Solution: The San Mateo County smart region was built on the Strategy of Things Smart City Ecosystem Framework. 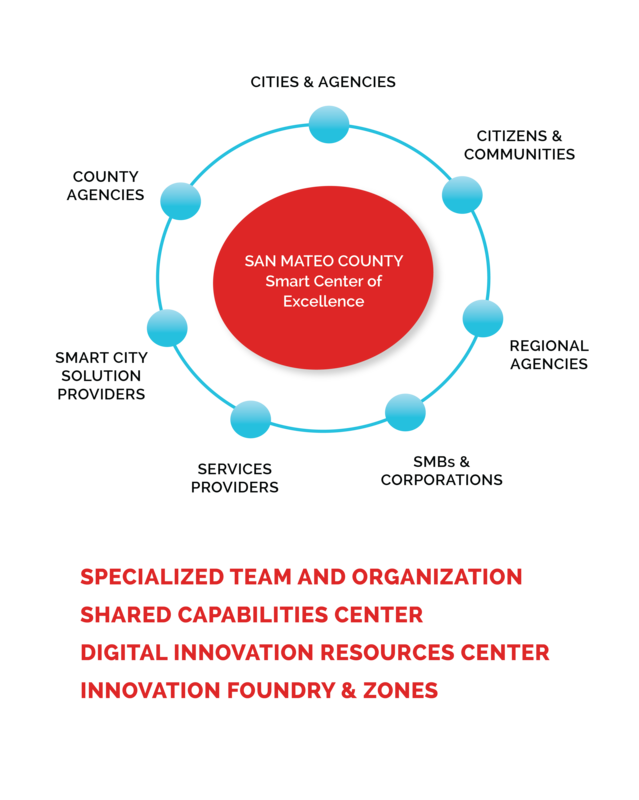 The county provides a collaborative approach to innovation through a Smart Center of Excellence and innovation lab. Innovations are focused on seven key areas - Quality of Life, Public Safety, Mobility, Environmental Sustainability, Health and Wellness, Government Efficiency and Economic Development. Result/Outcome: The first phase of Smart Region strategy was completed in nine months, with the operationalization of the SMC Labs in May 2018. Subsequent phases of the strategy are ongoing. 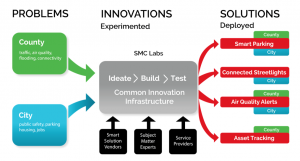 Situation: SMC Labs is the digital innovation lab for San Mateo County's smart region initiative. The lab is envisioned to be the "smart" innovation hub for the 20 cities and 29 county agencies within San Mateo County. The lab teams will provide the digital and innovation expertise to supplement city and county agency teams. SMC Labs is newly launched, and needs to operationalize quickly and make a measurable impact in order to gain internal support, credibility and budget for continued operations. 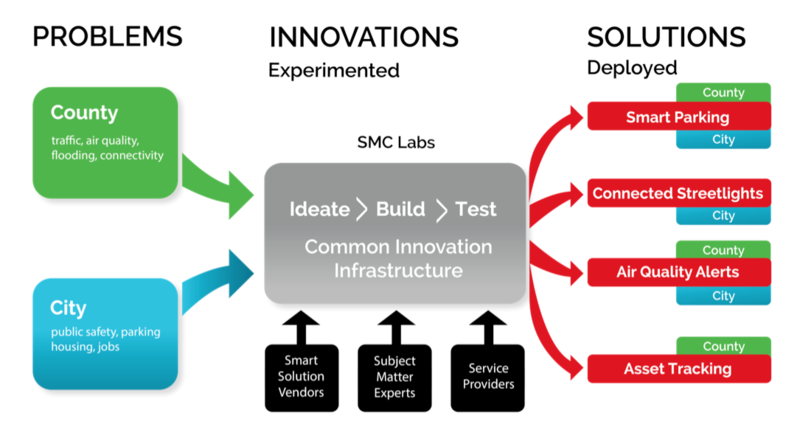 Approach/Solution: We designed SMC Labs from the ground up to solve problems. We developed and implemented problem solving and innovation methodologies. We built two local innovation zones where solutions can be piloted in a live environment - one at the San Mateo County Government Center, and the other at the East Palo Alto City Hall complex. In addition, we established a multi-connectivity approach to future-proof the lab as connectivity technologies are still emerging. 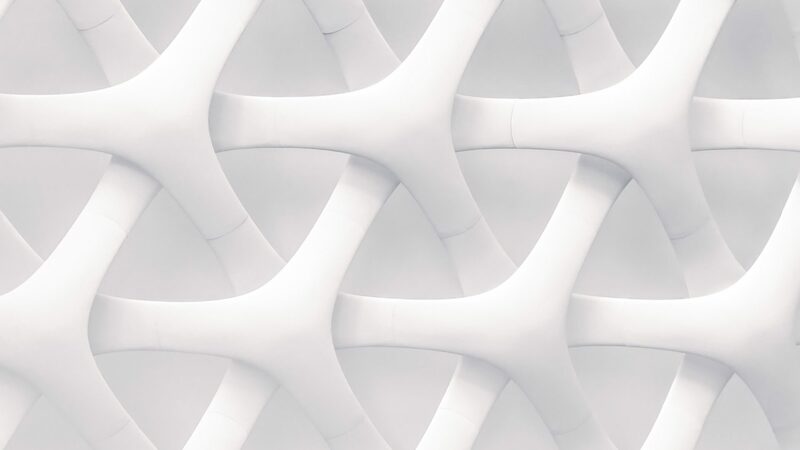 We built (and continue to build) an ecosystem of solutions providers, subject matter experts and services providers that the lab can bring in to solve problems. Result/Outcome: SMC Labs was launched in May 2018. The lab is currently operational and is planning and conducting several pilots. In addition, the lab continues to solicit and evaluate needs from various cities, county agencies and solution providers for future projects. Strategy of Things is a strategic part of the lab and is currently involved in the day to day lab operations. Situation: IoT and other "smart" technologies transform how a large Northern California regional utility company manages and maintains its streetlights. The utility company is faced with the question of how to incorporate and mainstream this innovation into its streetlight asset portfolio, align it with other corporate priorities and create an actionable strategy and plan that can be presented to executive management for funding. Approach/Solution: We assessed the utility company's internal capabilities and regulatory constraints against customer needs and opportunities to identify, how, where and when the company should incorporate smart connected streetlight technologies. In addition, we built a framework that aligned three disparate internal initiatives - connected streetlight operations, telecommunications services and smart communities/smart cities. Drivers with disabilities may voluntarily limit their mobility to certain areas because they are not sure if they can park their car nearby. Drivers with electric vehicles may leave those cars at home and drive their gasoline powered vehicles because they don’t know where the EV charging stations are, and whether it is available. Approach/Solution: The smart parking pilot utilized the Fybr Smart City platform. Twenty-two in ground sensors were placed in public and employee parking EV and Disabled spots. Alexa voice integration was enabled to test alternative user experiences. While the pilot solution had a real time and historical insights dashboard, we generated our own analytics from the raw data collected. There were generally sufficient parking during core hours at the moment. The garage is underutilized during non-core hours and more communications is necessary to encourage residents of surrounding apartment complexes to use the EV charging stations. Garages present unique challenges to smart parking solutions. The presence of significant amounts of concrete and rebar limits the range of IoT connectivity gateways, and more careful site selection and prep is necessary. Voice commands and response is a safer and more natural way to interact with the parking solution while driving and searching for spaces. However, voice commands need more maturing in order to be fully useful in a live environment. Situation: Air quality (AQ) levels vary widely across the San Francisco Bay Area. These levels vary from city to city, neighborhood to neighborhood, and from street to street. However, the Bay Area Air Quality Management District (BAAQMD), the regional air quality district for the nine county San Francisco Bay Area, has a total of 36 air quality sensors. Half of these measure particulate matter (PM), the most commonly measured air quality parameter. In San Mateo County, there is only one BAAQMD PM sensor node. The effects of the smoke from the northern California wildfires on 2017 and 2018 have increased the need for local air quality monitoring. This information can then be used to provide guidance at a local and neighborhood level, instead of a regional level. Approach/Solution: This pilot utilized a range of lower cost air quality sensors, including consumer grade, commercial grade and industrial grade. Phase One was deployed with three low cost commercial sensors connected to the Fybr Smart City platform. Phase Two used ten air quality commercial sensors from Clarity. In other phases, we will be deploying mobile mounted sensors and industrial grade sensors. The data collected from the sensors is made available through each vendor's dashboard. However, the eventual goal is to consolidate the data feeds into a single unified San Mateo County dashboard for analysis and presentation. Result/Outcomes: The community air quality monitoring network pilot was launched in March 2019 and is ongoing. Situation: Urban planners, public safety, transportation and economic development officials have limited awareness of how pedestrians, visitors and commuters move around within a city and selected areas. This lack of understanding results in services that don’t match people’s expectations, suboptimal citizen engagement and experiences. In addition to public agencies, merchants and other commerce organizations have a desire to understand visitor patterns. This helps to identify and create services that will enhance their offerings and improve business opportunities. Approach/Solution: The solution employs the RadioLocus mobility analytics cloud platform. 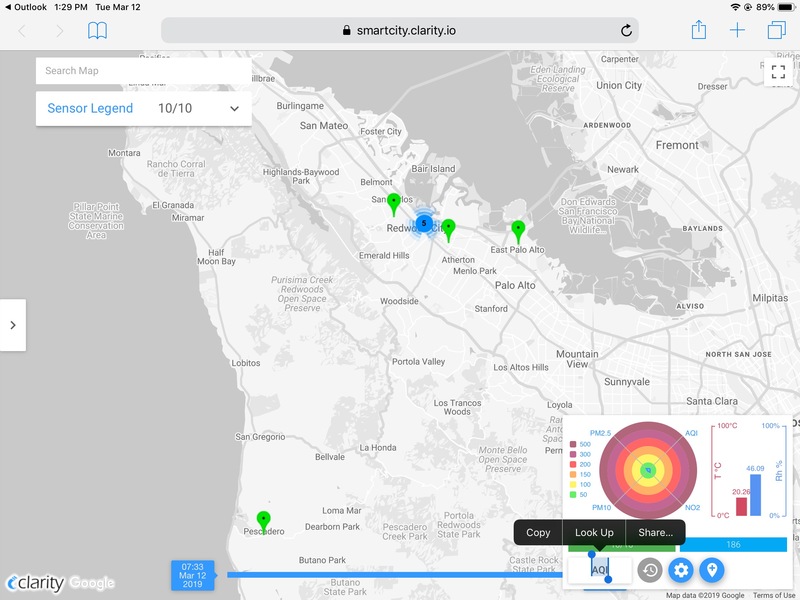 Data from mobile device users are collected through San Mateo County's public wi-fi access points within the collection zones, anonymized, sent to the RadioLocus cloud, and analyzed in aggregate. The information is then presented in a dashboard format. Three zones have been selected as test sites through San Mateo County. Some test zones have the community air quality sensor node installed, which we will be able to correlate the data from two separate use cases together. Result/Outcomes: This project is in the pilot phase and is awaiting deployment in April/May 2019. Situation: Connectivity is one of the enabling layers of the smart city. However, smart city planners are faced with a confusing multitude of connectivity options in emerging market. Some connectivity options operate in the licensed (or regulated) frequency bands, while others operate in the unlicensed or unregulated spectrum. Some options are capable of supporting large amounts of data such as video traffic while others can only pass through very small amounts of data. Some are capable of transmitting over several miles while others are good for thirty feet. While many options in the market today will narrow to a more manageable few in the future, the reality remains - there is no “one size fits all” or universal connectivity option that will fit all the different use cases. In many cases, planners will need to have multiple connectivity options operating concurrently. Given the current environment, how do smart city planners determine the best connectivity option? Approach/Solution: We developed a structured process for narrowing down the smart city connectivity choices to a manageable few. This process calls for identifying the possible use cases, verifying what existing connectivity services are available, filter it against various management and operational considerations (build/buy, skills, capabilities, etc. ), then furthering evaluating it against various technical and other considerations (licensed/unlicensed, open/proprietary, maturity, etc.). A weighting methodology is used to objectively score and rank the options. Result/Outcomes: This work is in progress. It was started in August 2018, as part of the National Institute of Standards and Technology (NIST) Global Cities Team Challenge (GCTC) Wireless Supercluster. The IoT connectivity decision guide will be published as part of the Municipal IoT Connectivity Guide in July 2019. This work is expected to be presented at the GCTC Global Tech Jam in September 2019. Situation: There are several smart city innovation benchmarks or indices in use today. While they differ in their approach to gauge a city's "smartness", they all measure innovation based on "smart" projects in progress or deployed. These methodologies are problematic for several reasons. They do not measure a city's innovation capabilities. They do not link innovation to vision or strategy. There is no real "apples to apples" comparison, nor do they give an indication to the cities being benchmarked why they are more or less "smart" than their peers. These indices are biased towards large cities as smaller cities, with different priorities, smaller budgets and less capabilities, are penalized with these approaches. In order for cities to become "smarter" cities, they need a more balanced way to measure what "smart" is and how to get there. Approach/Solution: We are taking a more holistic approach to developing a smart city innovation index. A city's "smartness" should measure not only the innovations produced, but also a city's innovation capabilities. The index must measure how effective and relevant these innovations are to its constituents, and its linkages to the city's vision, strategy and priorities. Result/Outcomes: This project started in February 2019 and is currently in progress. Our goal is to develop and publish a smart city index. This index will allow cities to identify where they are relative to their peers, and to assess their areas of strengths and opportunities for improvement. Have questions or want to discuss our learnings and progress from our smart city projects? Please feel free to reach out to us. We're always happy to share knowledge and exchange ideas.